This film clip that was made back in 1946 on how to build a house is a must watch for anyone contemplating doing any sort of building. Even though it was made so many years ago the process has more or less remained the same. From the need or the want to build to the idea of what is required by the owner to the architect taking that idea and transferring it on to paper. Then the process of building begins from the foundation trenches and the concrete to laying the first foundation wall bricks. Even though some of the materials used such as the plumbing pipes and fittings are no longer baked ceramic it will give you a good idea what has to be done at the various stages and what it takes to build a house. The house in the film has a suspended wooden floor, for a solid floor, the foundation walls would be back filled and a dampproof membrane laid on top and then a concrete slab placed on top – see our post on the floor slab: concrete-slab. The rest of the house from windows chimney and roofing right the way through to the final handing over will show you the way a house should be built. NB. 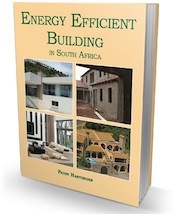 The Building Regulations in South Africa were modelled on the Australian regulations so what this film on “How to Build a House with Brick” shows is very much the way that houses here in South Africa are built. Looking for Clean, Fresh Air What Is the SABS?